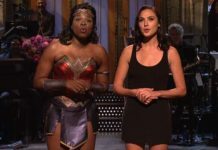 Looking to celebrate Hanukkah but want to make this year a bit unique? Take a hint from these unusual menorahs — including ones made out of pita bread and exploded rockets — and your eight nights of Hanukkah will be sure to be different from all the other ones. Students at a Jewish day school in New Jersey broke the record for the world’s largest human menorah. 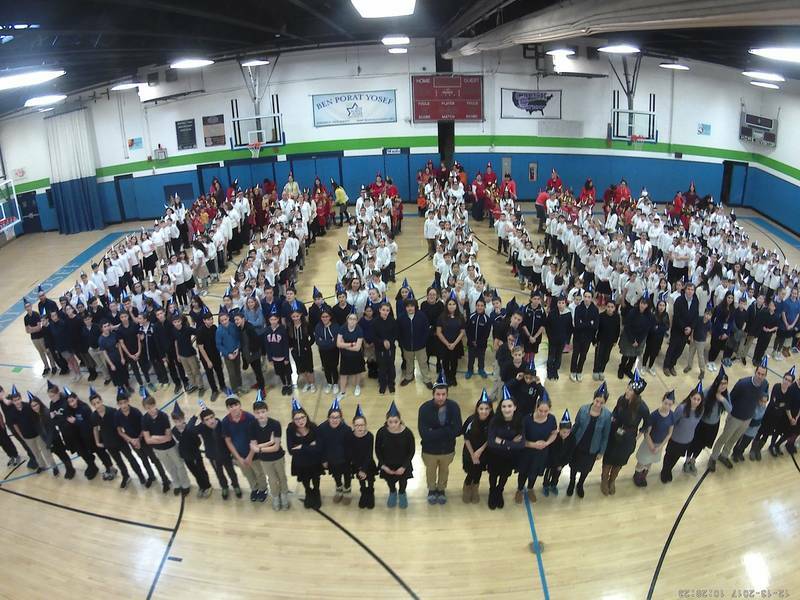 More than 500 students from Ben Porat Yosef, a private school in Paramus, stood in the shape of a Hanukkah candelabra on Wednesday. A representative from Guinness World Records certified that the formation was indeed the largest one in the world. Students dressed in colors to make the menorah come to life, with the younger pupils wearing red or orange to symbolize the flame and the older ones in white to represent the candles and dark colors to represent the menorah itself. Students at a Jewish day school in New Jersey broke the record for the world’s largest human menorah. 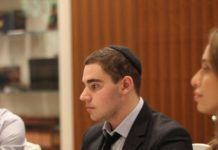 More than 500 students from Ben Porat Yosef, a private school in Paramus, stood in the shape of a Hanukkah candelabra on Wednesday. A representative from Guinness World Records certified that the formation was indeed the largest one in the world. Students dressed in colors to make the menorah come to life, with the younger pupils wearing red or orange to symbolize the flame and the older ones in white to represent the candles and dark colors to represent the menorah itself. Rabbi Levi Hodakov of Chabad of Clearwater, Fla., adorned a large outdoor menorah with pita bread. 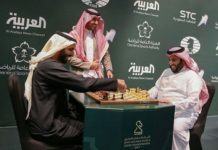 Hodakov told Fox 13 on Tuesday that pita are often served with falafel, which though not a food typically associated with the Festival of Lights fits in with the holiday custom of eating fried foods. This is not the first year Hodakov has built a carb-filled menorah — last year he adorned the Chabad menorah with pizza pies. 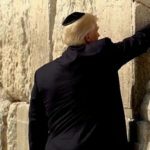 “I have found that when we do these big exciting menorahs, it really excites the people in the community to want to come out and celebrate,” he said. An outdoor Hanukkah candelabra in Cedarhust, N.Y., features parts of exploded rockets fired from Gaza into Israel. 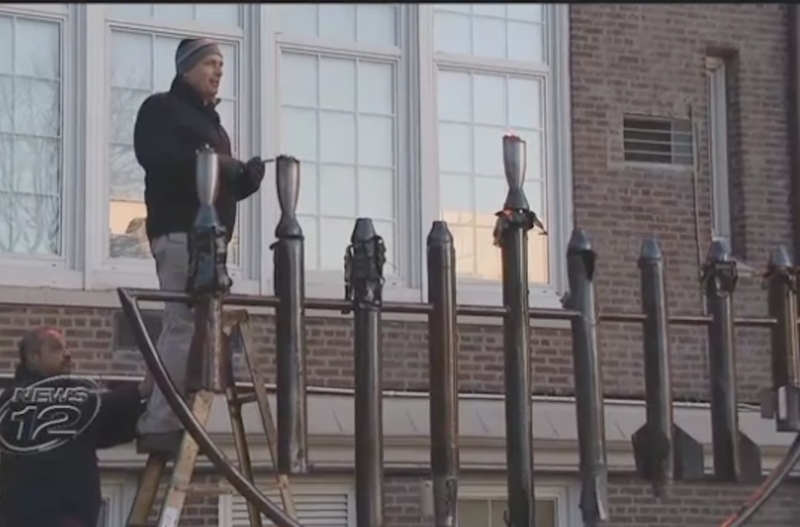 The menorah, which is displayed outside the Hebrew Academy of the Five Towns and Rockaway, was made by artist Yaron Bob at the request of a local family that saw a similar one in Sderot, Israel. 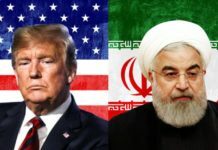 Students at the school say that the message of the menorah is that it is possible to take something evil and turn it into something associated with light, News 12 Long Island reported on Wednesday. Ever wanted to incorporate shellfish into Hanukkah celebrations but don’t want to break Jewish dietary laws? 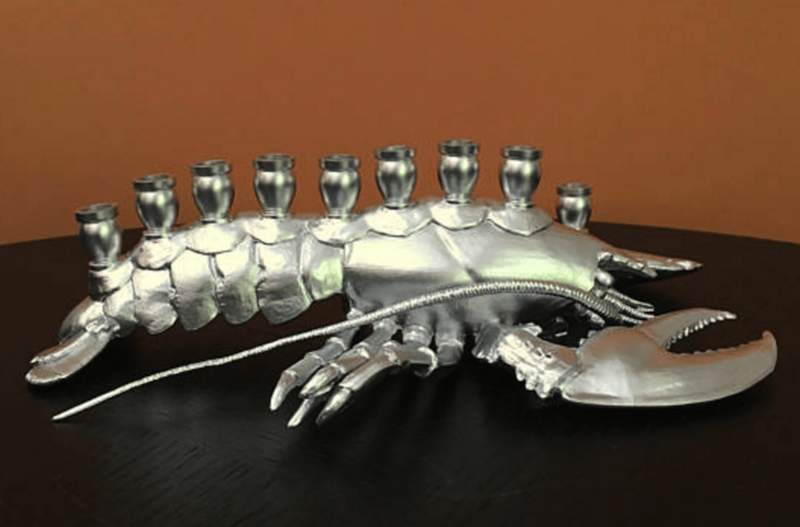 This lobster-shaped menorah is the perfect solution. Constructed from repurposed plastic toys and metal candle cups, the candelabra, which retails for $85, is sure to bring plenty of light and humor to any Hanukkah celebration. But beware — the menorah is already sold out for this year, and the producer is already taking pre-orders for 2018. 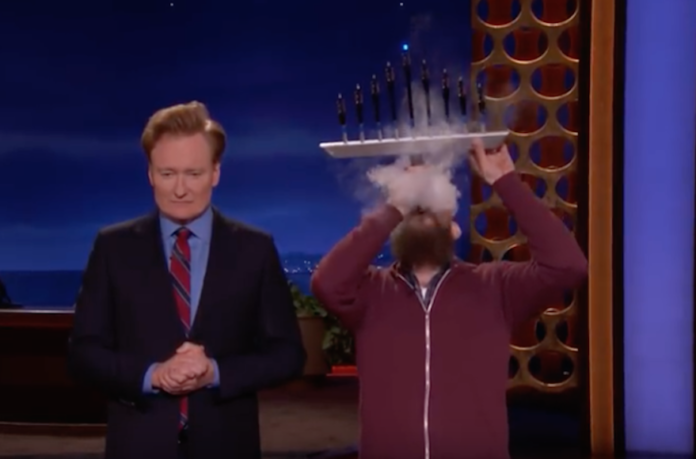 Television host Conan O’Brien introduced his viewers to the vape pen menorah on Wednesday night’s episode of his TBS talk show. 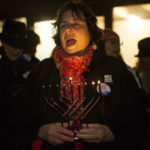 The candelabra is made up of nine vape pens of varying heights, including one in the center that serves as the shamash, the candle used to light the other ones. 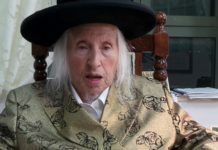 This creative menorah allows smokers to get their nicotine or cannabis kick Hanukkah style — in the episode, O’Brien’s Jewish music producer, Roey Hershkovitz, even demonstrates how to take a hit.